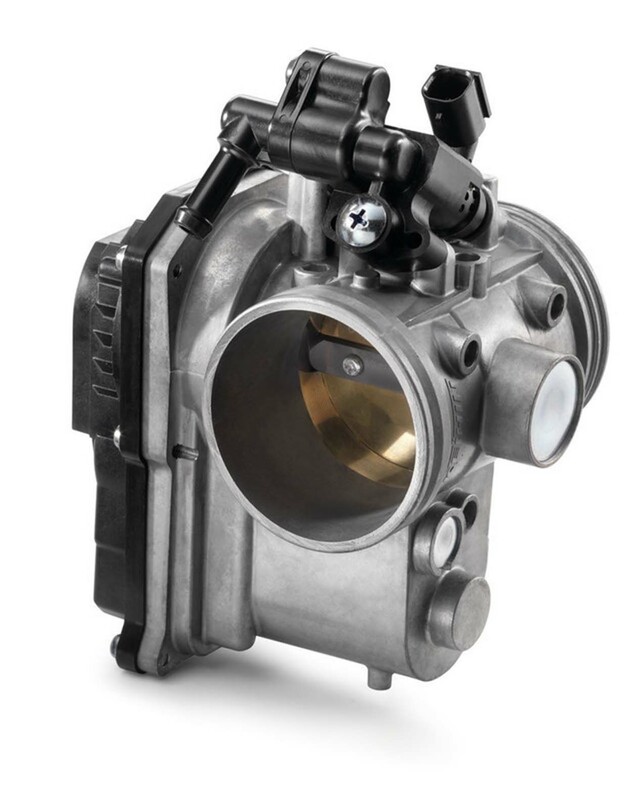 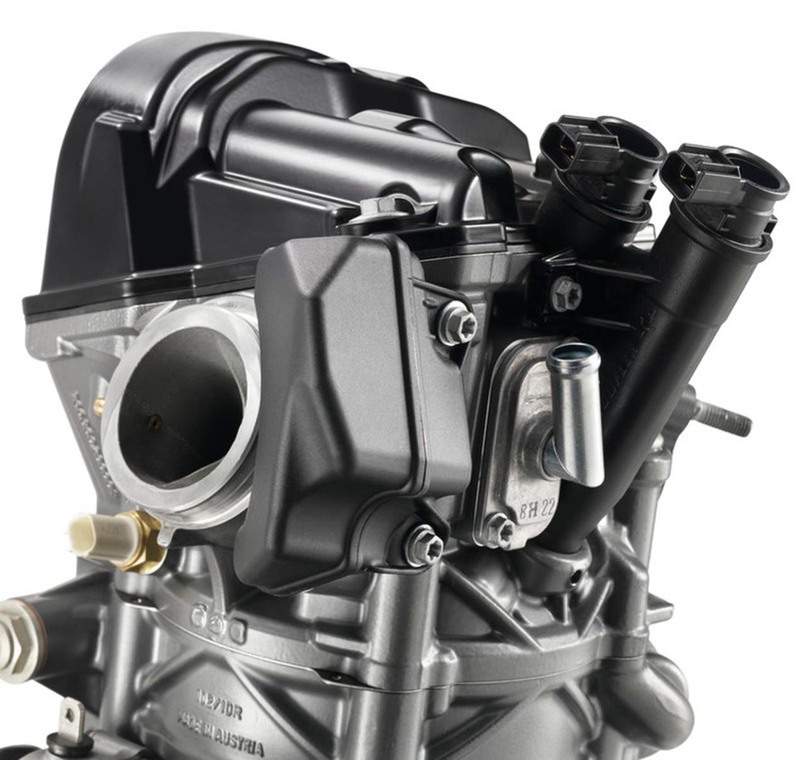 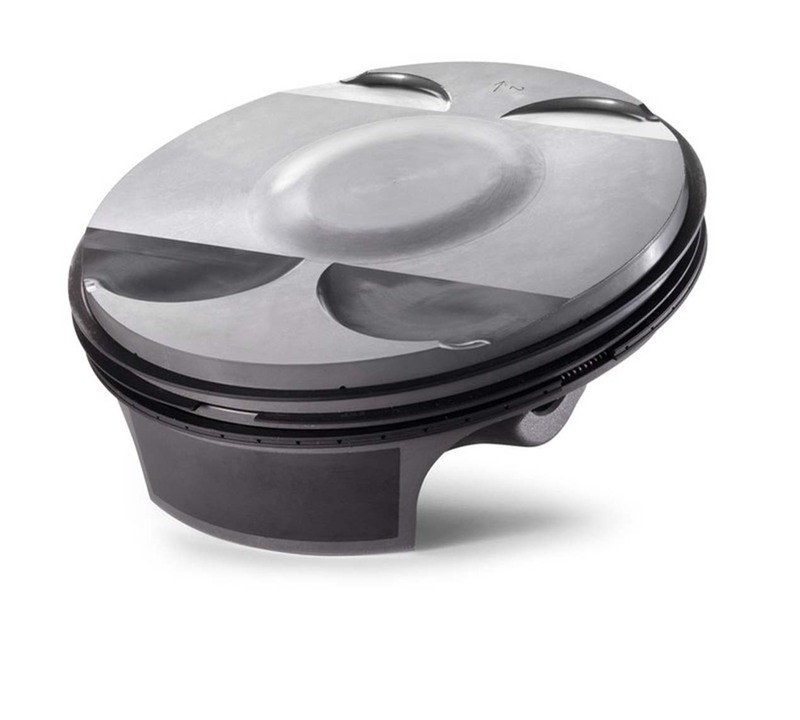 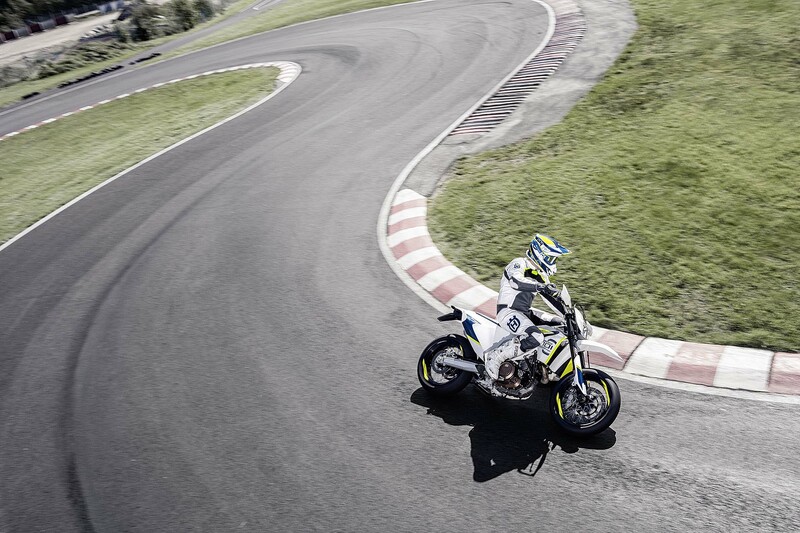 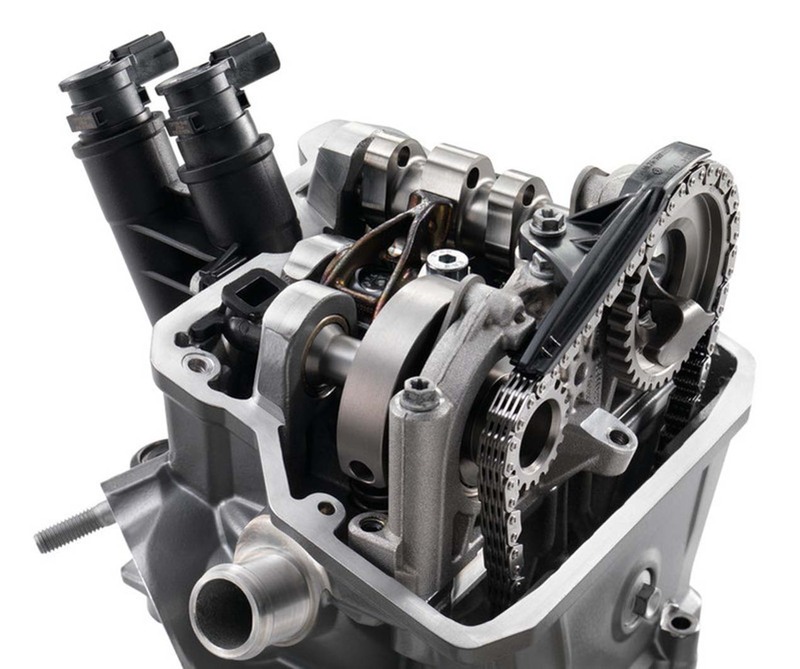 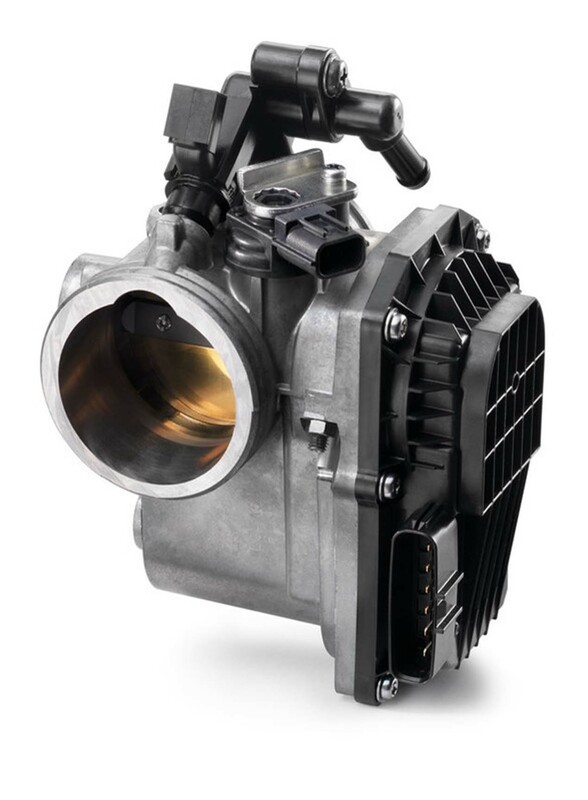 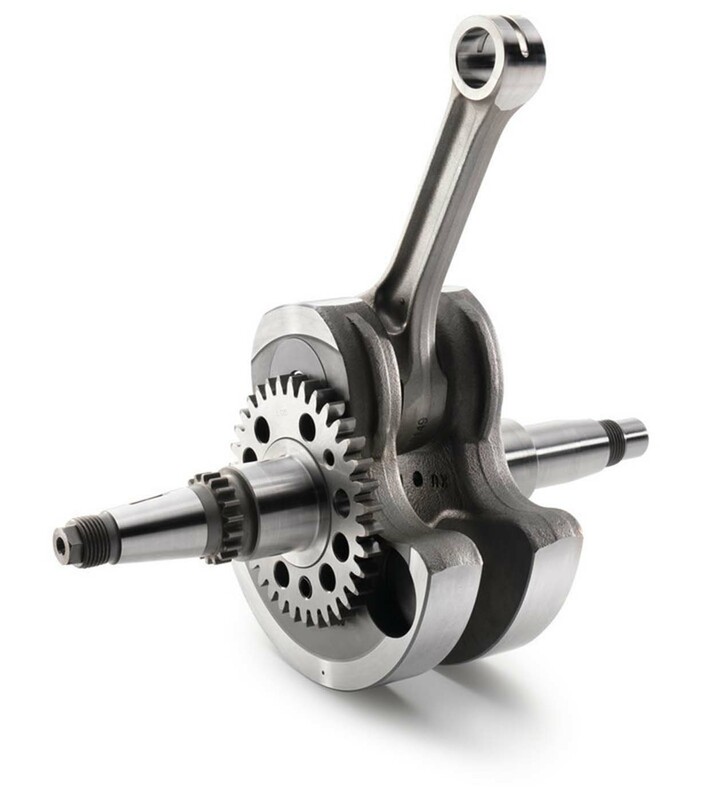 Husqvarna says that the new motor adds 1,000 rpm to the redline, and the new Keihin fuel injection system has a 50 mm throttle body that has no mechanical linkage to the throttle grip, for true ride-by-wire technology. 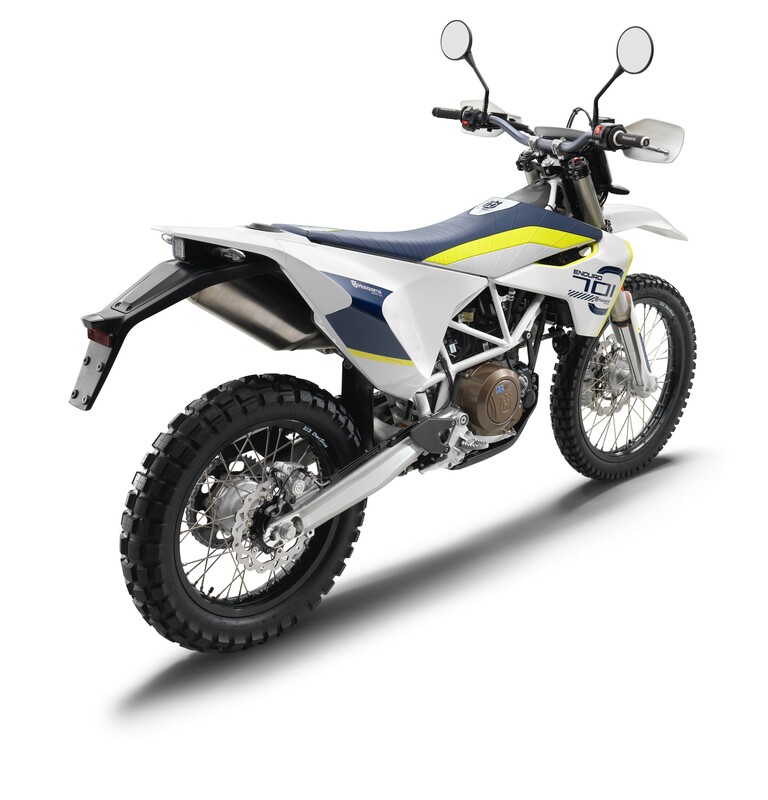 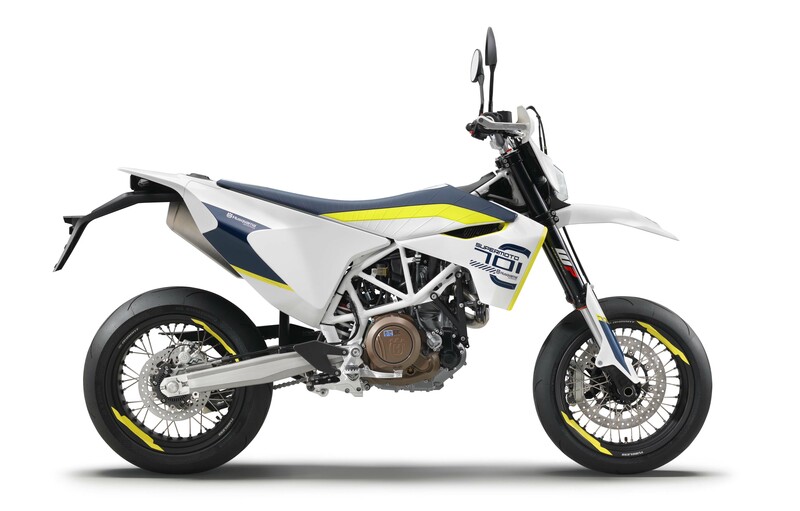 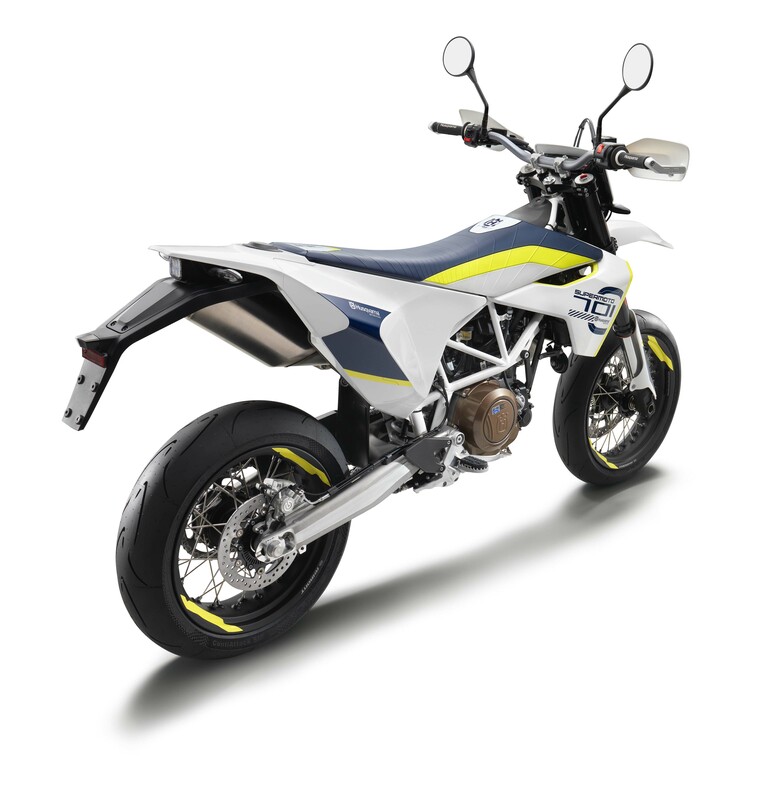 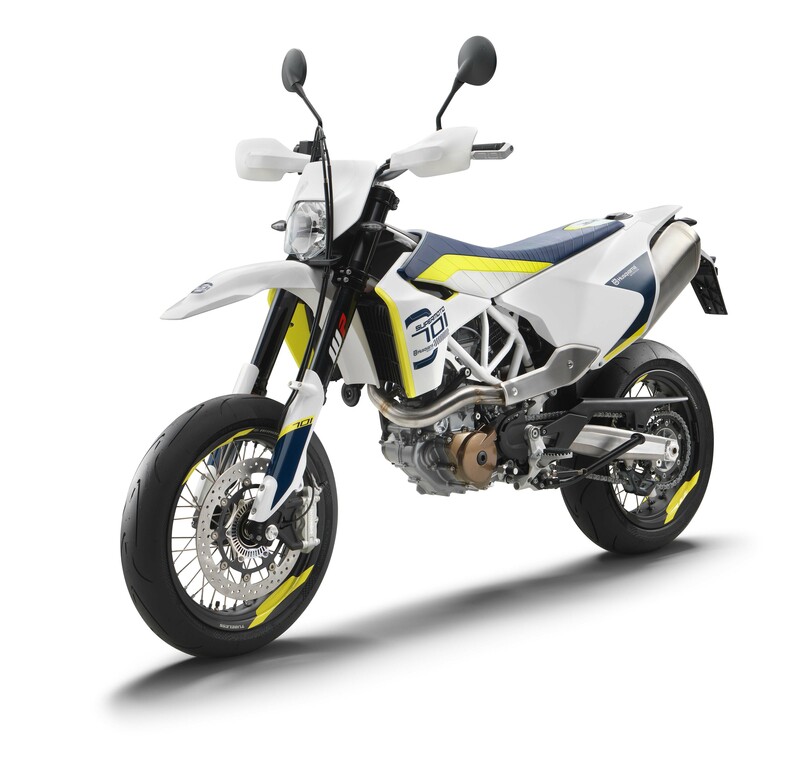 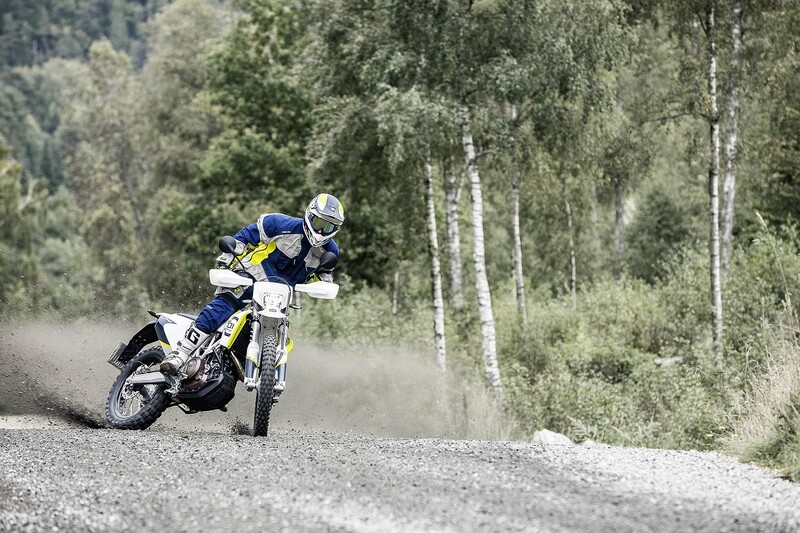 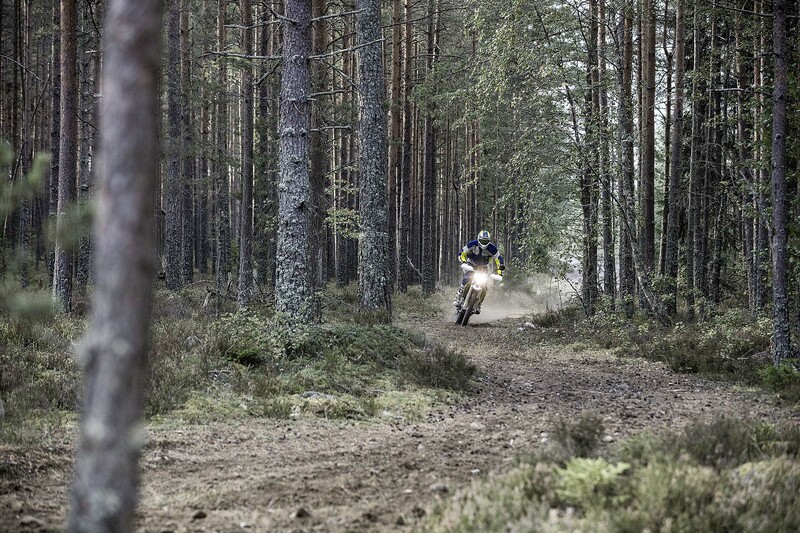 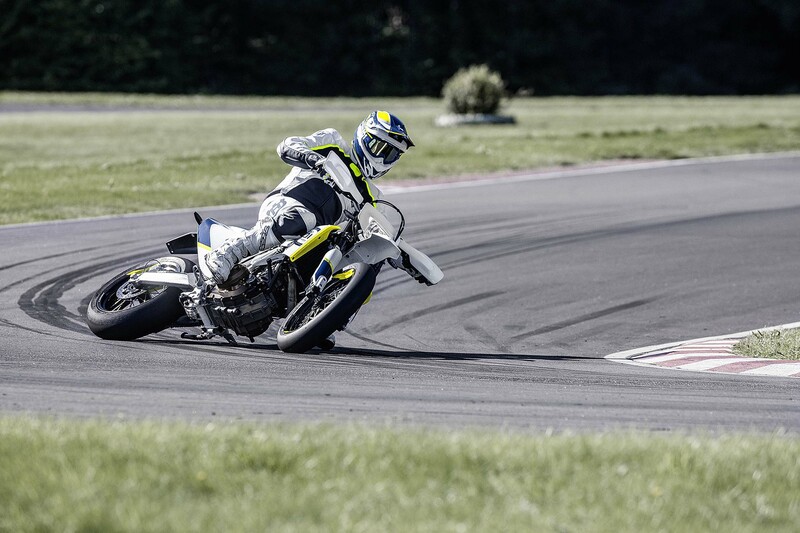 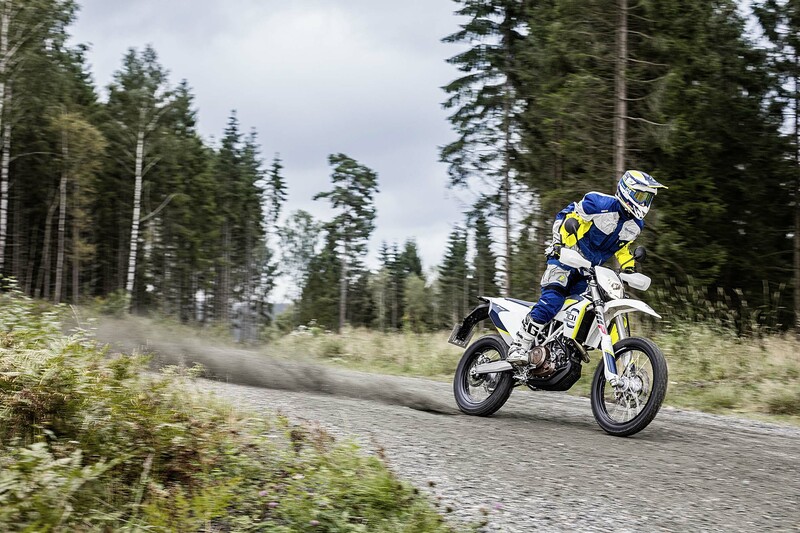 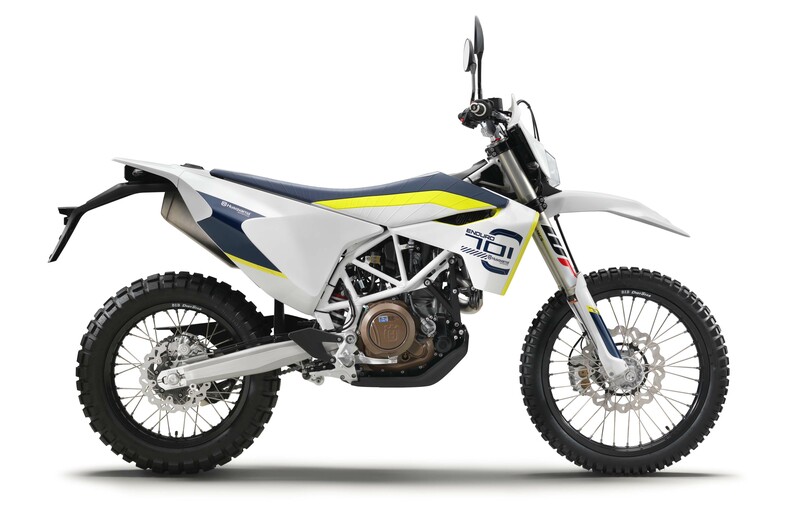 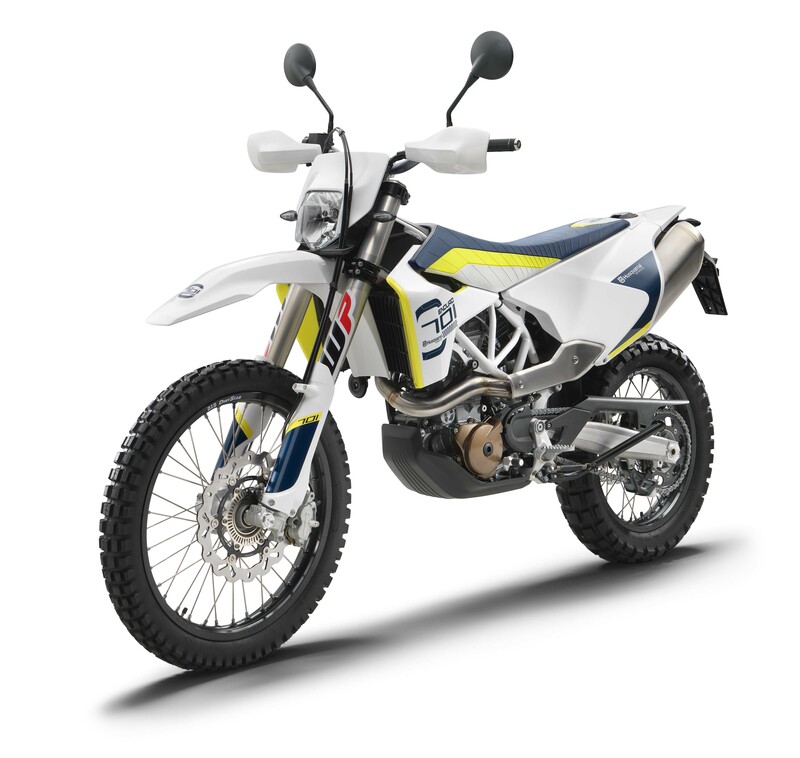 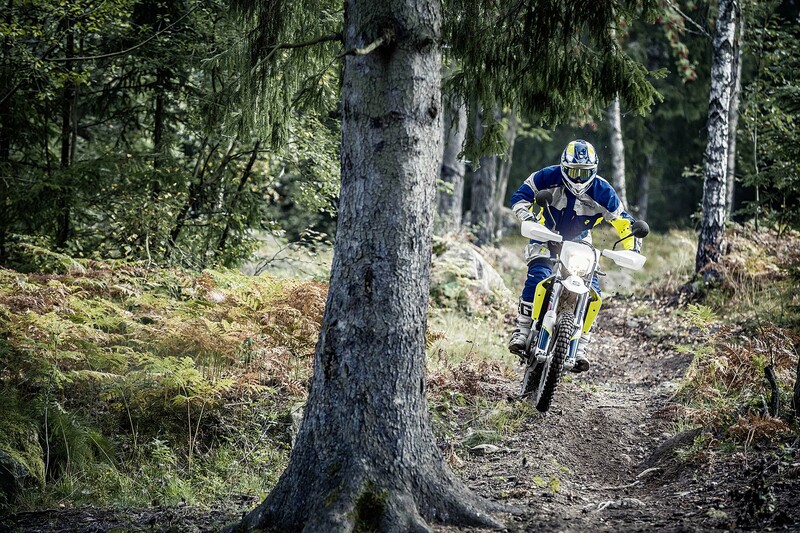 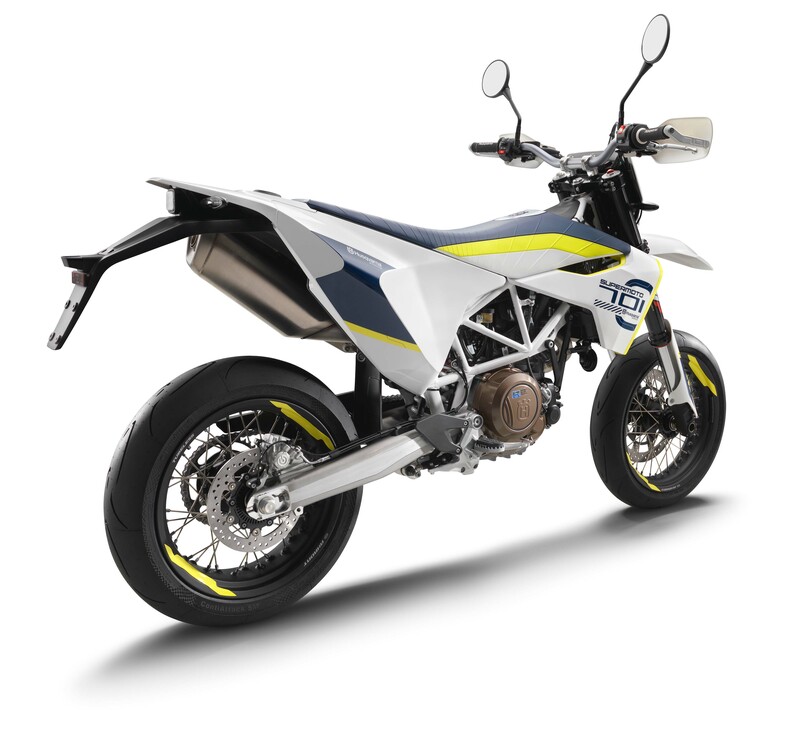 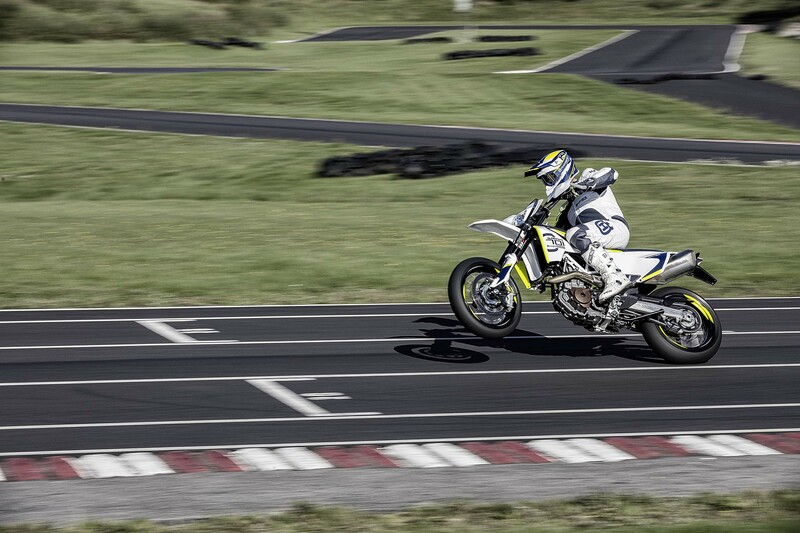 Of course, the 2017 Husqvarna 701 Supermoto and 2017 Husqvarna 701 Enduro both now meet Euro4 emission standards, and Husqvarna has pushed service intervals on both machines to 10,000 km (6,200 miles). 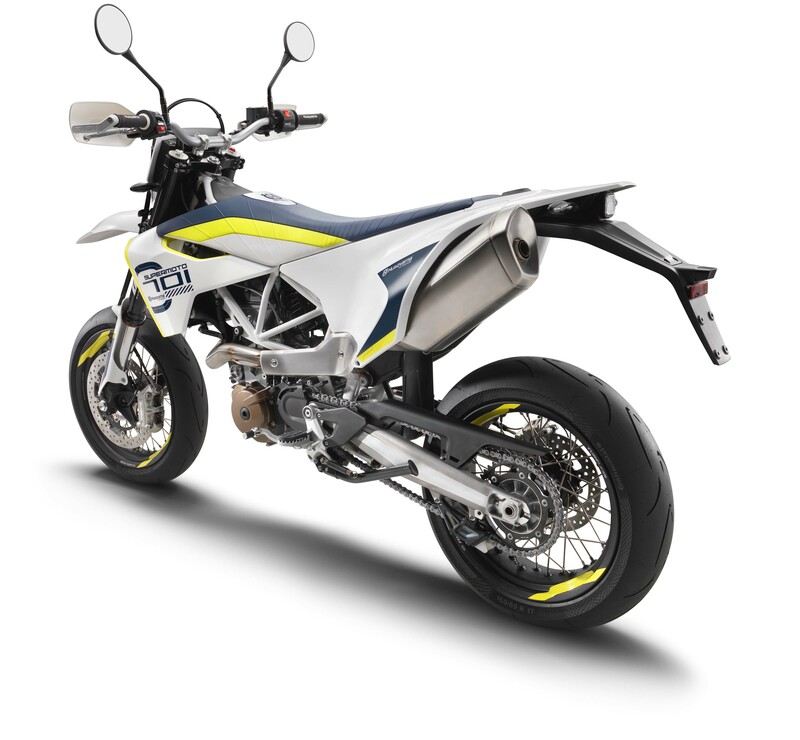 Not much changes in the looks department, as you can see in the photos below, but if you are attending the INTERMOT show, you will be able to see them up-close.